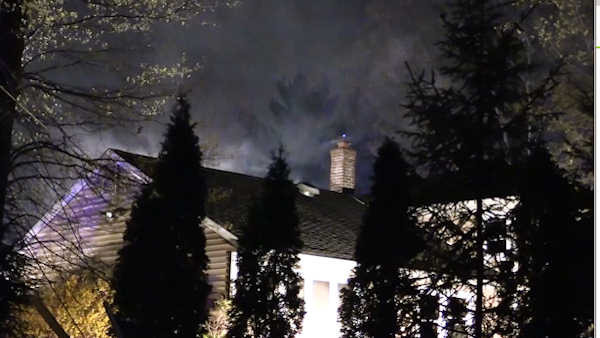 WAYNE, New Jersey (WABC) -- Residents were forced to evacuate their home in New Jersey due to a fire that appears to have been caused by a hoverboard battery that was charging. The fire broke out at 10:35 Thursday night at a house on Kevin Place in Wayne. Authorities say the residents evacuated the home before emergency services arrived. There were no injuries, but the home suffered significant damage. Preliminarily it appears the fire started as the result of the hoverboard battery charging in the basement, authorities say. One of the residents reported that they initially heard loud pops or bangs and suspected someone was attempting to enter the house, said Wayne Police Captain Laurence Martin. Their investigation revealed the noise and flames were coming from the area where the hoverboard batteries were plugged in to recharge, Martin said. Police say the house is uninhabitable. The Fire Bureau has taken over the scene and is investigating.